Many chess players are facing the same problems that prevent them from improving their game. Many don’t know when and how to start, who to learn from, what to do and what to avoid. Some even think that there is a magic pill that can help you to gain 500 ELO points in no time, with literally no work necessary. Does this kind of magic chess pill truly exist? Let’s find out. 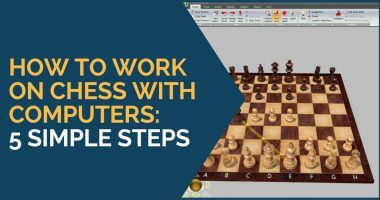 Many chess players are looking for that perfect opportunity to start working on their game. Every time they want to begin, they come up with series of excuses why right now, today and even this week is not a good time. Thousands of excuses immediately come into mind: I need to study, I need to read that book, I need to clean up, I’m too tired, I’m too busy, I’m too old, I’m too poor, I’m too hungry, etc., etc. That way you will never start your chess training. Let me tell you that, most likely, there won’t be any time in your life, when you’ll have spare 5 hours/day to spend on your chess. That’s bad news. But it is also good news. Why? Because you can start working on your game right now, without need to wait till next Monday, next month or next year. Right now is already a perfect time and there won’t be any better time. In fact, things will only get busier [you can finish reading this article before starting though]. 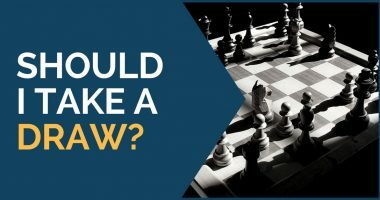 Do you know the type of chess players who spend weeks planning on how to start their training, researching what methods work best, studying what books they should buy or not? I agree planning is important, working with good resources helps to improve your game. However, if taken to the extreme, researching different study methods and books, you will already forget why you are doing that in the first place. You want to improve your game. That’s the main goal. You need to roll up your sleeves and start working. Some players get so obsessed with studying how to study, that they don’t have time to study chess. And that’s something you want to avoid. Learn from those who regularly apply their knowledge into practice. There are many chess “experts” that only teach others how to play but do not play at all. Maybe they were strong player long-long time ago but have retired and still continue teaching. These coaches generally have tons of instructions on how to improve one’s chess, but they don’t understand practical problems that players face over the board, or even during training. They think of chess tournament as of ideal environment not taking stress, time trouble, lack of focus, and fatigue into account. To save yourself from trouble learn from the doers, or those who apply their knowledge over-the-board. You wouldn’t want to learn boxing from somebody who only knows theoretically how to box. If you do, you should be prepared for disaster in the first match. Chess is no different. It is a skill, not an encyclopedic knowledge. There are many people everywhere you go that are willing to give you a chess advice. They will look confidently into your eyes and tell you that you shouldn’t play that opening, but should to play this and that instead. They will tell you that playing blitz will improve your intuition and you will become a tactics wiz in no time. They will give you tons of advice, both good and bad. The problem is that you don’t know which one is which. It is a good idea to at least follow the advice from the stronger players. Do not take advice from those 300 points lower rated than you. They are not in the position to give that advice. In fact, they are the ones who should be asking for an advice from you. Generally, stronger players do not run around giving advice, those who lack confidence and looking for attention do. Something similar happens in weight training. Those who are stronger and fitter generally don’t offer advice to just about anyone. The opposite is true, however, for less fit individuals. 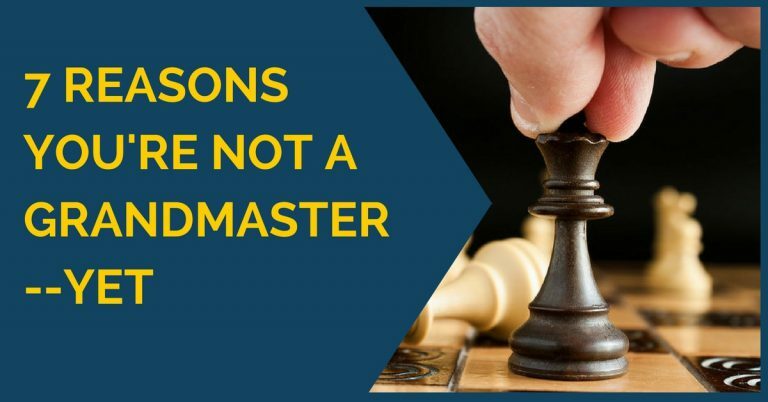 Many chess players believe that there is some special magic pill that can make a chess master, if not a grandmaster out of just about anyone. That magic pill can be in a form of secret training methods, or preparation techniques that will boost your ELO by healthy 500 points. I’m sorry to disappoint you, but there is no such thing. There are effective training courses, great chess books and excellent coaches that can and definitely will help you at becoming a much stronger chess player. They can only show you the door, but you are the one, who will have to put in the work. That’s the only way.